These cards were designed for a fashion blogger who lives and breathes high end fashion. The cards needed to reflect the luxury world she blogs about and her tastes and ideals. The cards aren't just luxury in nature, they also show a flair for creativity. 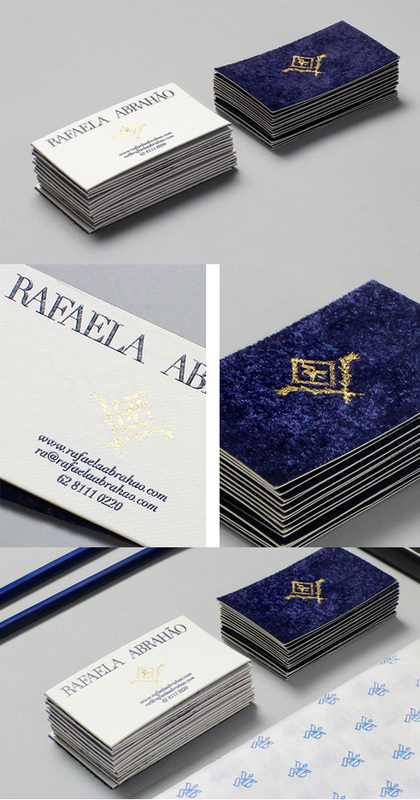 The logo has been printed in gold on royal blue velvet and this has then been laminated to the backs of the cards which have been printed in a more familiar manner on white card stock. The cards have intriguing texture and contrast and they are quirky, unusual and draw attention without being gaudy.